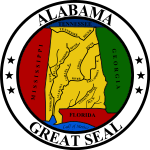 The 1988 United States presidential election in Alabama took place on November 8, 1988. All fifty states and the District of Columbia, were part of the 1988 United States presidential election. Alabama voters chose nine electors to the Electoral College, which selected the president and vice president. 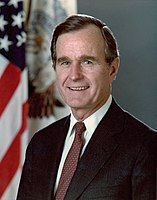 Alabama was won by incumbent United States Vice President George H. W. Bush of Texas, who was running against Massachusetts Governor Michael Dukakis. Bush ran with Indiana Senator Dan Quayle as Vice President, and Dukakis ran with Texas Senator Lloyd Bentsen. Alabama weighed in for this election as 11% more Republican than the national average. The presidential election of 1988 was a very partisan election for Alabama, with more than 99% of the electorate voting for either the Democratic or Republican parties. The vast majority of counties in Alabama voted for Bush. Typical for the time, several counties nearby, but not inclusive of, the major population centers of Montgomery and Birmingham, voted Democratic, illustrating an urban spill-over effect.